The trampoline pads are what keeps your kids safe from the nearby framework and springs. These pads have been designed and tested over many years and have proven to be one the best around. 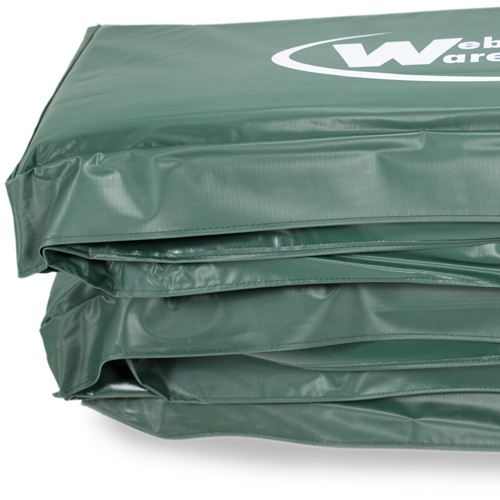 Made from extra durable 500D, .55mm PVC on the top and bottom (which is what you see on the outside). Our pads have had a lot of thought, from how safe they are, to water drainage to enable longer life. Our pads secure with many replaceable elastic bungee cords that thread through the pre-installed brass eyelets and wrap around the frame and spring attachment triangles. Our pads feature a unique two-step foam that puts protection where you need it the most (over the frame), also making it very water resistant - the water just runs off the pads and prevents excessive pooling. Our pads are 50mm thick at the frame edge, look around, you will not find thicker pads than ours, most companies see this as precious space used up in their shipping containers and don't take safety as seriously as we do. 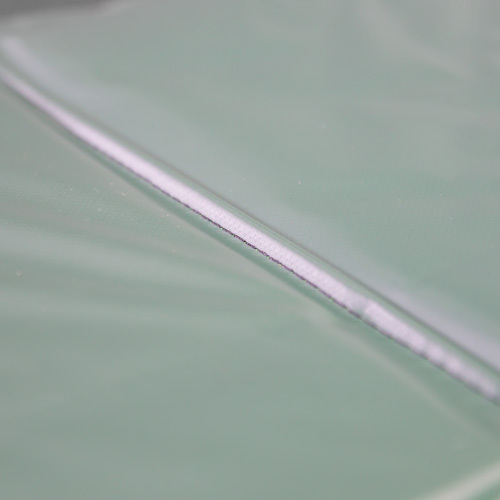 Pads need to be able to handle being accidentally jumped on, and this is why we use one of the highest grades of PVC material. 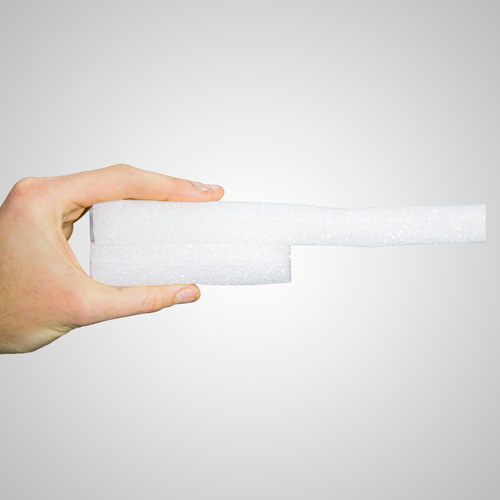 You'll find other companies will use a low-grade PVC material on the top and use an even weaker PE material on the bottom to save on cost; our pads use the same high-quality 500D .55mm PVC on the top and bottom. 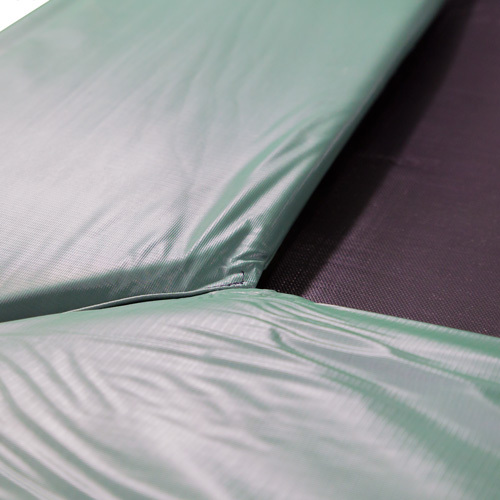 Many trampoline pads sections aren't sewn together with stitching on the top (only the bottom). Our pads are top stitched to increase strength and to ensure they last for as long as possible.